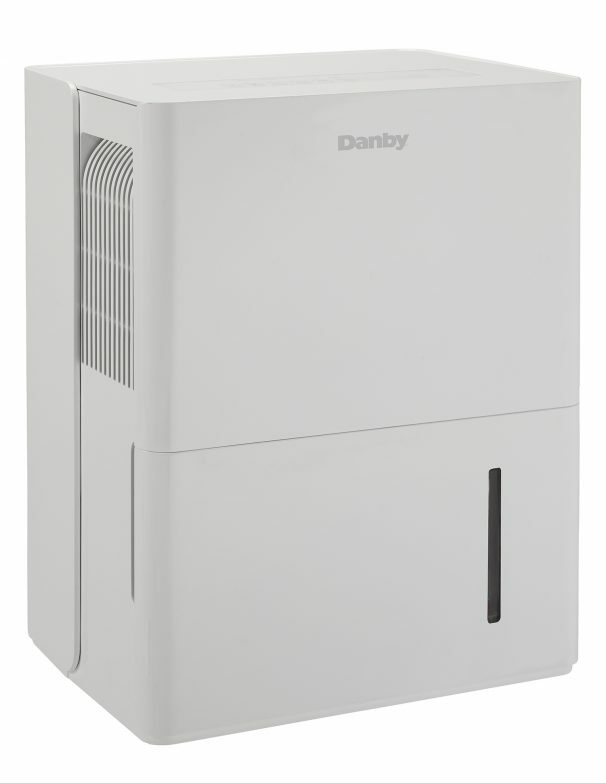 Cool, damp air can often trigger allergies and damage your home's structure with mold, but these concerns can easily be battled with this portable 30-pint (14.2 litre) dehumidifier. This sturdy model is an ideal way to remove moisture from the air in basements and any other areas up to approximately 1,500 square feet in size. It wont cost an arm and leg to operate as it is Energy Star compliant and runs on environmentally-friendly R410A refrigerant. This appliance features a user-friendly electronic control panel as well as an automatic defrosting system to keep the coils ice-free and adjustable humidity settings. 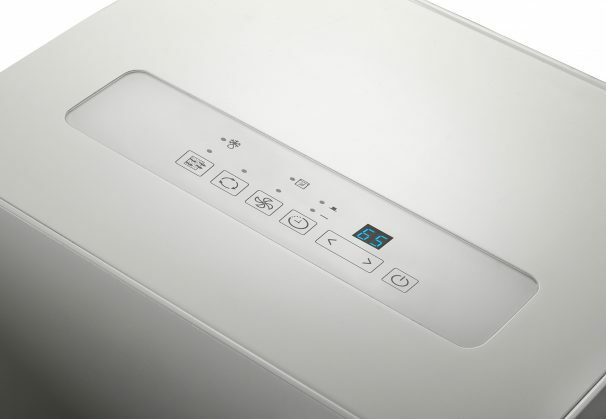 The quiet two-speed fan and automatic restart function are accompanied by a removable filter for convenient and easy cleaning. The unit's clever low- temperature component continues to run until the temperature drops to 5°C (41°F) and the convenient direct-drain system allows it to operate continuously. The built-in castors make it simple to relocate the dehumidifier and it also has a 24-month carry-in service warranty on parts and labour. 24 months parts and labour. Installation and/or yearly maintenance (cleaning) are not covered under warranty. There is foam inside the bucket; is this packaging or is it supposed to be there? It is supposed to be there to help determine the water level. What is the best humidity setting for my dehumidifier? 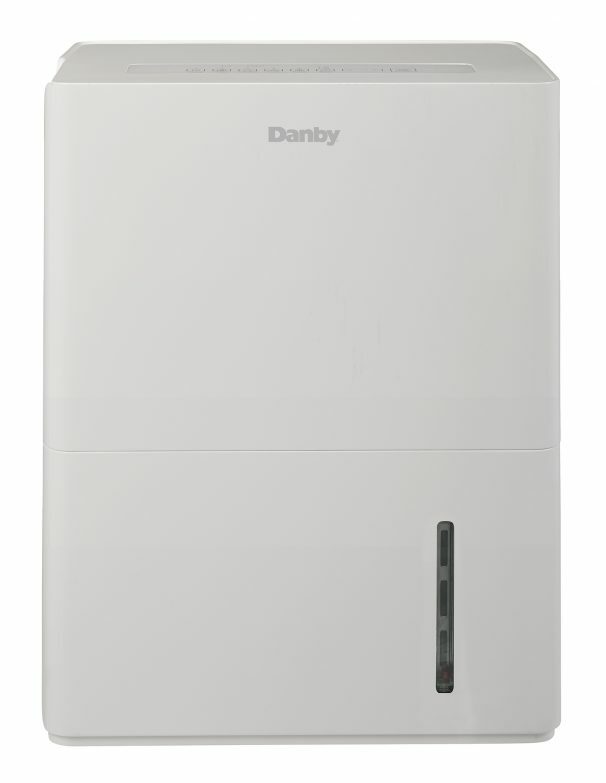 We recommend setting your dehumidifier to between 40-50%. Is the air that comes out of my unit supposed to be hot? Yes, usually this air feels warm. Why isn’t my unit collecting any water? There are a couple of reasons this could be occuring. 1) There may not be enough humidity in your environment or 2) Your relative humidity set higher than ambient humidity. Please adjust your settings accordingly if this is the case. How often will my unit pump out the water? This will vary based on humidity level. It will pump out the water when it reaches a certain level (pump models only). Does the fan run continuously? This varies based on model, however most models have been manufactured to have the fan turn off automatically. Can I put an extension on the drain hose/power cord? This is not recommended, as the unit is built to operate using the drain hose/power cord provided. How do I use the timer feature? Does the timer cycle on and off? This varies by model, however all dehumidifiers are a one shot timer. Please refer to the owner’s manual for timer instruction. How do I correctly hook up my direct drain? This varies based on model. With some models you simply screw the hose onto the outlet on the back of the unit. With other models you have to remove the bucket, feed the hose through the back of the unit and connect to the adaptor above the bucket area, then replace the bucket. It is important to look at your control panel. Some units have a “continuous drain” button on the control panel. If that is the case for your unit, you must press this button after the hose is in place or the function will not work. Please refer to your owner’s manual.